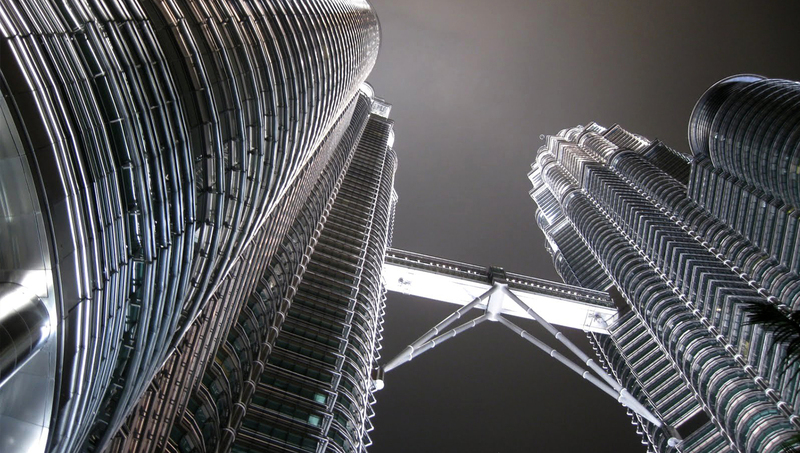 Visit the Petronas Twin Towers with tickets delivered directly to your hotel. Take in spectacular views from the observation tower. See Kuala Lumpur's top sights on a city tour. Head to the observation deck at the Petronas Towers for panoramic views and visit the Batu Caves. Standing at 452 meters, Kuala Lumpur's Petronas Towers - comprising two tours - was the tallest building in the world until 2004. Here are some of the astonishing features that you can experience for yourself on your visit. 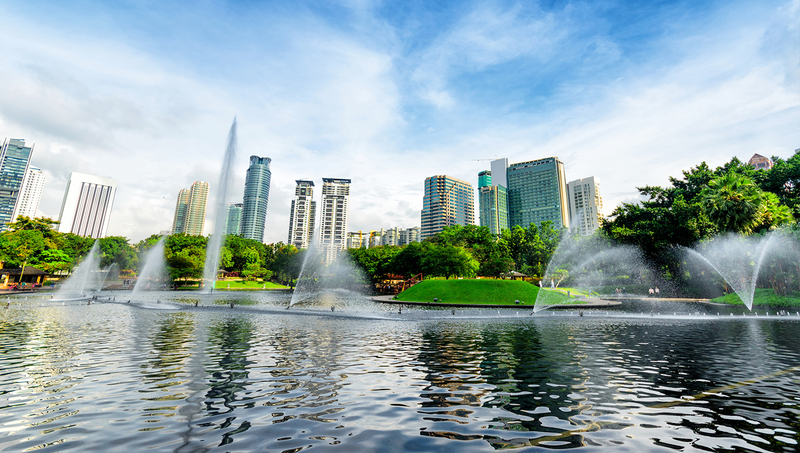 At the foot of the building is the KLCC Park, a 17-acre expanse of green used by joggers and city-dwellers to recharge their batteries. There's even a great fountain light show! 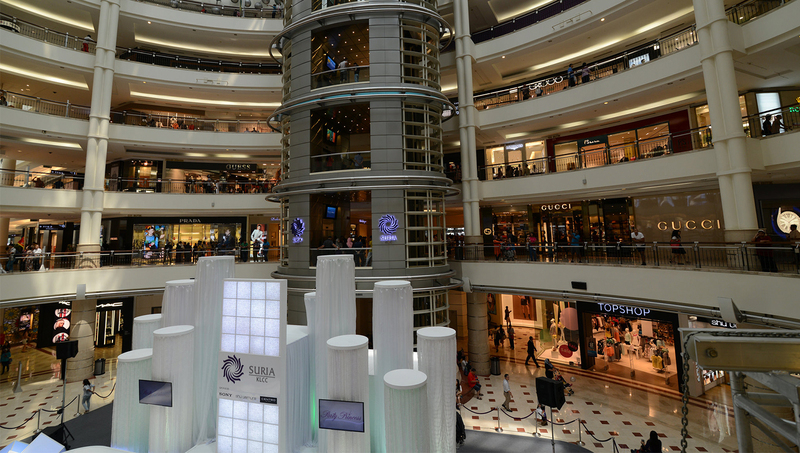 Counted among one of Malaysia's largest shopping malls, the Suria specializes in fancy foreign goods. The Skybridge connects the two towers, making for an easy walk across the highest double-decker bridge in the world! Tickets are free, but only 1000 are available per day. 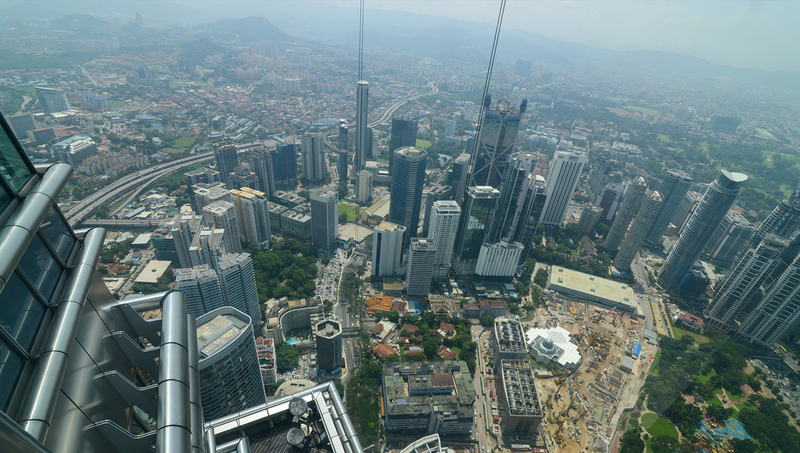 Go up 360 meters - the 86th floor - to the Petronas Towers' observation deck. The most spectacular view is at sunset, to see a pink-tinged view of Kuala Lumpur. Although it boasts features like restaurants, the building is mostly used as an office housing the most high-scale Malaysian companies. All year-round, except Mondays and national holidays. Open from 9:00AM to 9:00PM. On Fridays, please note it's closed from 1:00PM to 2:30PM. The nearest metro station is KLCC, on line KJ10. You can also ask a taxi driver to take you to Suria KLCC entrance. You can enjoy the Petronas Towers as part of a wider visit to Kuala Lumpur - the Batu Caves are well worth a visit, too! Open Tuesday through Sunday, 9:00AM to 9:00PM. Closed on Fridays 1:00PM to 2:30PM and on national holidays. Free to view the building from outside, and to cross the Skybridge, but please note ticket restrictions and plan ahead! It is not necessary to have a guide. The closest metro station is KLCC on the KJ10 line, or a taxi can take you to the Suria KLCC entrance.